Labs will be conducted on EC-council designed ILabs. The access period is for 6 months. All our trainers are CEH(v9) certified,Official CEI's and are highly qualified with over 15 years of experience in training and are working in the areas of Cyber security and IT Service & architecture. Yes, there is exam attached to this course. LVC or Live Virtual Classroom training for CEH(v9) is a live training conducted via online live streaming of a class. LVC is run by an certified trainer with over 15 years of work experience in the domain and training. The class attended by the global audience can enrich your learning experience. 10 What is Vulnerability Assessment? 2 What is a Trojan? 4 Why Is Social Engineering Effective? 2 What is a Denial of Service Attack? 3 What Are Distributed Denial of Service Attacks? 2 What Is Patch Management? 2 How Web Applications Work? 9 What is LDAP Injection? 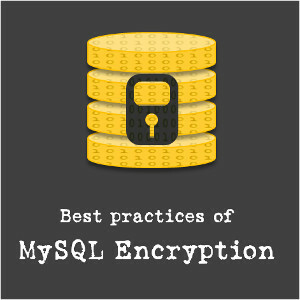 2 How to Defend Against SQL Injection Attacks? 3 How to Defend Against Command Injection Flaws? 4 How to Defend Against XSS Attacks? 5 How to Defend Against DoS Attack? 6 How to Defend Against Web Services Attack? 9 How to Defend Against Web Application Attacks? 2 Why Bother about SQL Injection? 3 How Web Applications Work? 5 How to Break WEP Encryption? 6 How to Break WPA Encryption? 7 How to Defend Against WPA Cracking? 3 How to BlueJack a Victim? 1 How to Defend Against Bluetooth Hacking? 2 How to Detect and Block Rogue AP? 4 How to Defend Against Wireless Attacks? 9 What is SSH (Secure Shell)?